Today I am visiting Damy at Daily (w)rite. She’s been a very special friend for many years, and I’ve really missed her presence on the A to Z Challenge Team. 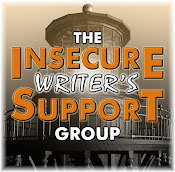 I’m discussing the ‘What If’ of writing, so be sure to stop by! First album with the iconic Maiden lineup, this Platinum selling album was listed as one of the greatest metal albums of all times and included hits such as The Trooper. Published in 1896, this book explored moral responsibility and animal cruelty. Shortly after the book’s release, the first anti-vivisection groups were formed. Want to know more about gemstones? Learn some things about blogging? Have access to cookbooks full of tasty treats? Then Holly is your person! Want to meet an author of many genres? One who is supportive of others with book features and reviews? Then Catherine is the fire you need! She is Hyrath’s current Queen, overseeing the Council and all districts. Isadore understands Hyrath’s position of power and wants to keep it at all costs. And there is a Scavenger Hunt! 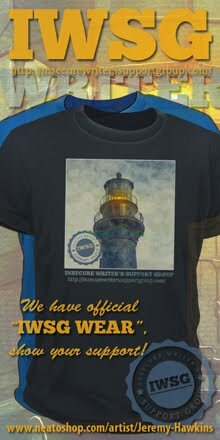 An autographed copy of the book, bookmarks and swag, and $20.00 iTunes gift cards to the winner. Just visit the sites below and leave a comment – where do you think Mini-Alex is in the photo? Open until midnight April 11 – winner announced here April 13. Now go! Melissa Maygrove * Eva Solar * Father Dragon Al * Suzanne Furness * Karen Walker * Dianne Salerni * Christine Rains * Nick Wilford * EE Giorgi * Murees Dupe * L Diane Wolfe * Helena * Tyrean Martinson * Robin * Heather Gardner * Jo * Lynda Young * SL Hennessy * Toi Thomas * Lori MacLaughlin * Jess at Author Tracker, * Truedessa, * Annalisa Crawford, * Patricia Lynne, * Lisa at Flash Fiction, * Julie Flanders, * Julie Kemp Pick, * Nicki Elson, * Mark Koopmans, * Sydney Aaliyah! This has been a wild week with a book release right in the middle of the challenge. I’d like to thank those who made this week awesome. Thanks to those listed above who posted for the scavenger hunt. Some of you added it to your Challenge posts, which was awesome. Thanks to everyone who joined the Thunderclap campaign. I saw the full list of everyone who signed up and it really meant a lot to me. Thanks to those who pre-ordered or purchased my book! Some of you have already finished reading it, which just blows me away. Cathrina Constantine, Ellie Garratt, Randi lee, Elizabeth Seckman, Lisa Buie-Collard, Susan Gourley, Mina Burrows, Dani at Entertaining Interests, Yvonne Lewis, Elana Johnson, Lanise Brown, and Ella. All links go directly to their posts, which were touching and sweet. A special thanks to Brandon Ax! 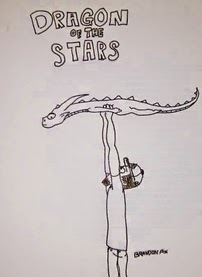 He always draws a cartoon of himself with a dragon, and he did one in honor of my book. You rock, Brandon. And a special thanks to Roland Yeomans for sending me on yet another wild adventure across the stars. Searching for the Dragon with Mark Twain and being accosted by Princess Aura – that could only happen to me! Bottom line, you guys all rock! As always, I am humbled by the support. And I never even wanted to be an author. Seen the Iron Giant? Fan of Maiden? Read the books? (Or seen any of the many movie versions?) Following those awesome bloggers? And who has helped you this week? Who would you like to thank? Don’t forget to visit the awesome Damy! I'm also a huge fan of The Iron Giant. It's just such a sweet story. I'd like to see The Iron Giant. I believe I have a copy of I Am Legend. There are many I's in this comment. You are only reaping the kindness and warmth that you have sown. You may be humbled, but I doubt that anyone else is surprised that your kindness is being returned with interest. I saw the Will Smith "I Am Legend" movie. Well, at least I watched until something happened to the German shepherd. Then I was done. Who can forget Iron Maiden? Pleased your book is doing well,also Thanks for the mention, very kind of you. It's funny... I have always been a fan of heavy metal music since 1985 and never really got to know Iron Maiden. I have never seen Iron Giant, though I love this kind of film. I have both score and soundtrack albums... It's Ironic I think. Brandon Ax, great job... Roland, always makes it awesome.... then Damy... she is one of the best. I'm a fan of both H.G. Wells and Damyanti. Miss her posts generally, but glad she's making her own rainbows. And I am off today to find yours! Unlikely to find the Dragon though, but I'mm hoping one of the earlier ones..
Island Of Dr Moreau! I haven't thought about that book in years. I actually read it in Jr High and I was absolutely horrified and had nightmares. Congrats on pulling off your book launch at the same time as the A to Z and IWSG ! We may be a fantastic community, but you have been a huge part of building it. I just wanted to let you know I started reading your book last night and I didn't want to put it down, but I had to get some sleep as it is a work day. I am looking forward to reading more over the weekend. It is wonderful to see so many people reach out to help. There is goodness in so many hearts. I'm sure it's been a crazy week for you, especially in the midst of the Challenge. You pulled it off nicely. I've seen your book and mini-Alex all over the world. Good Job!!! Michael, the book and earlier movies were better than the latest film. Medeia. that made me chuckle. Stephanie, it did have a photo though. I think it was only for Facebook and Tumblr. And I'm really glad I saw someone else doing a Thunderclap. Yvonne, thanks for mentioning me! Nilanjana, Damy is just awesome. These are some great Is! I loved "Island of Dr. Moreau" and its creepiness. And Iron Maiden is now a classic. I still need to read "I Am Legend" (saw the Will Smith version of the film). And I didn't somehow realize Vin Diesel was the voice of the giant! I enjoyed the most recent I Am Legend film with Will Smith the best. So creepy. Hubby prefers Omega Man. I thought Isadore was a horrid person - the way she behaved at the end. Yuk. I Am Legend was an interesting book. I've only seen the film version with Will Smith, and was not a fan. I've actually never seen The Iron Giant! No one deserves it more, Alex. I saw the last of the I Am Legend remakes, but not the first two. I was just reading up on Richard Matheson last night after watching a couple of Twilight Zone episodes over the past week that he had written. I need to actually read more of his work. My favorite take on I Am Legend was Last Man on Earth, but I probably need to watch the more recent version again to reevaluate. I didn't keep up with the scavenger hunt as I was on my own hunt tracking down bad links on the A to Z list and leaving comments on others. As you well know that is a job that keeps one busy and it's slow for someone like me. Sounds like your promotion is going very well though. All great I's. I am a fan of Dr Moreau. The possibilities are endless. As a zombie/post apocalyptic fan I fancy myself in a world with few people. Not the world like the movie I am Legend though. That is just too scary for me. I am Legend - great book, as is Island of Dr. Moreau. (I went with different Islands for I). Cool that people already read your book. I don't think I will get to it until after April. Don't know how you are getting it all done this month. I've actually listened to the music, watched the movies, and follow the bloggers. Finally a day where I have done it all! Congrats on surviving your successful book launch! Ha. And my son and I watched Iron Giant SO many times when he was young. Lots of great news today. I'll have to check out The Iron Giant. I've read The Island of Dr. Moreau, but not I Am Legend. Congratulations on your book release and the incredible amount of work you've done! Truedessa, thank you! That's one of the best things an author can hear. You rock. Elizabeth, that is his voice. Sarah, the one with Heston was better. Lee, that was the one with Vincent Price I believe. Truly this week has been about teamwork and it's so *you* to spend much of your post thanking others when many of us wouldn't be here if it wasn't for *your* always-there support. I am legend movie was meh at best, after the dog died, it went down hill fast. Iron Giant is a great movie. Iron Giant is an awesome movie. Haven't seen Iron Giant in years. That was a classic that I passed down to my kids. Masterful book The Island of Dr. Moreau. H. G. Wells was a genius ahead of his time! I haven't thought about those books in awhile! Thanks for the plug. How exciting. I've been out hunting for spring, but is hiding really well in these parts! Thanks, Mark, and that made me chuckle. Pat, the dog dying sucked. My kids love Iron Giant. It's such a great movie. I'm glad they went with the sad ending for I Am Legend. The happy ending was ok, but it didn't have the impact. Island of Dr. Moreau is the ONLY H.G. Wells book I've never read. I purchased your book (and the first Cassa because I think he'll really like that one) as a gift for one of my son's friends. He saw my copy (and started reading) and wanted to borrow it. Um no. Looks like you are getting awesome publicity on our new release. Hooray to you and all those supporters! Do you ever stop and take stock In all you have accomplished in the last five years? Kudos to you. You are a perfect example of "What goes around comes around," Alex. I've never seen The Iron Giant, though I'm familiar with The Iron Man, the story it's based on, thanks to Pete Townshend's 1989 album. I love The Iron Giant. I want to read I am Legend. Apparently the author hates all three movies. Iron Giant was so much better than I expected it to be! Full of character and personality. It's still impressive that Diesel didn't need his voice altered to play that robot. I am Legend! I like the book even more than the movie. And yay for an awesome week for you and Dragon of the Stars. I'm already a 4th of the way through! I'm just loving Aden. I am loving that cartoon and all the support that you've gotten/deserved. As S.L. wrote: I like the book more than the movies of I AM LEGEND. My favorite movie of it is THE OMEGA MAN. Congrats, Alex, on your book release! Now I need an Alex reading month so I can catch up on your books. I loved The Iron Giant movie, and I hadn't realized I Am Legend was made into a film so many times. Sad to say, I haven't encountered any of your I's, but I've heard a lot about "I Am Legend" recently, and was thinking I might like it. Have a great weekend, Alex! See you tomorrow. I've pinned Dragon of the Stars. I never saw the Iron Giant. Thanks Alex for the goodies. You've been one busy Ninja! Hope mini-Alex isn't exhausted from his travels. Isadore is an awesome name for a queen! Sia, wow! Thank you. I appreciate that. Yeah, borrowed books never seem to return. Thank you, Liza. It does blow my mind when I think about it. Debra, all three are very different. John, I was really surprised as well. Lauren, thanks - and awesome! Roland, I did indeed enjoy it. JH, in the book they are vampires. Leem I don't know about Mini-Alex, but I'm beat. Iron Giant is awesomesauce! I haven't seen that one in forever! The dragon drawing is cute. I didn't like the movie version with Will Smith. The ending was sad and the dog died. i love that we are choosing complementary bloggers! and that dragon drawing by brandon - how awesome is that! i am legend - i knew there were 2 but didn't know there were 3! our current version is scary! and i hate the dog having to die =( but a good movie. thanks for your continuous comments! Congratulations on all the e-press you've been receiving, Alex! Totally well deserved. I didn't know I Am Legend was remade three times! And I remember my Iron Maiden days....still wondering if my ears still ring from my semi-obsession with them in ninth grade...it didn't last. Loved your post at Damy's. Iron Giant is one of my favorite animated movies. My kids had it on VHS. Time to upgrade that. Glad you're surviving this very busy month. So far. I enjoyed the movie, I Am Legend, but I never read the book. I also enjoyed your post on Damy's blog. Tara, we are! Fun, isn't it? Randi lee, no more love for Eddie? Susan, splurge and buy that DVD! Birgit, I think Omega Man was the best of the three. I saw the Iron Giant years ago with my son. He wanted to watch it over and over again. At first I thought, oh it's a cartoon, but then I found myself not able to look away. It's good for all ages. I love The Iron Giant. It is such a good film and always gives me the feels. Congratulations on your "quite a week" activities! I loved I'm a Legend, the Will Smith film. I never read the book. I also saw the movie of The Island of Dr. Moreau years ago (the one with Val Kilmer), it freaked me out so bad I had trouble sleeping for days. I did not know I Am Legend had three movies made from it. I knew about the last two, but not the 1964 one. Don't know how you managed a book launch right in the middle of the A-Z Challenge. Big props to you Alex. I tried to watch I am Legend. Got up to the part where Will Smith's German Shepard is in danger. That's as far as I could go. I had to shut it off. I'm that much of a wuss! Iron Giant is awesome. It made my wife cry. I didn't realize I Am Legend is so old. I remember the Iron Giant. It was a good movie I watched with my kids. The Will Smith I am Legend was pretty good, thought not sure one of his best films. A lot of good ones today. Maybe someday there will be a version of I Am Legend that gets it right. Aw, so sweet of Brandon to illustrate that for ya! Enjoyed reading the 'what ifs' at Damy's blog. Iron Giant is always welcome - love Vin Diesel (Rriddick). Iron Maiden - yes! I'm thinking I saw Charlton Heston - The Omega Man (1971). The Island of Dr. Moreau - wild book, and I'm thinking a movie where the actor was the same guy who played in The Godfather? Glad to heart Thundrclap rocked!! I really liked the latest movie version of "I Am Legend" and my son told me to read the book, which I did and thoroughly enjoyed. So much was left out in the movie. Gee, thanks for the shoutout! So very cool! I am going to do another lineup of great new releases on my blog and yours will be on it! I will let you know when. The Island of Dr. Moreau is a disturbing and thought-provoking classic. Charleton Heston was in Omega Man, and we watched in a college movie room, sitting in folding seats. Cold, it was a toss up. Dixie, that would've been the last version with Marlon Brando. Susan, glad you are enjoying them! After the week you've had, Alex, you must be exhausted! You deserve to rest over the weekend after all your hard work. I love Iron Giant it is one the movies I can't wait to watch again with the little one. Glad to help it was fun drawing that particular picture. I have watched Iron Giant sooo many times, but it's good to the last watch. It was a real favorite of my son's when he was younger. I love that so many folks supported your book on their own. I'll have to check out the posts. Congrats! You deserve whatever support you get, Alex, and wish I could have joined in but with a move on the horizon and caring for hubs, it wasn't possible. 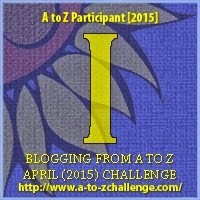 The A to Z is a challenge to me for sure. . .I do like the name of the character you mentioned: Isadore. I also like 'I am Legend', with Will Smith, just saw it recently again. Thanks for visiting my blog! Merci! WOW - lots going on in this post. Awesome how you are out and about, here and there, and everywhere. First - I loved the Iron Giant - and The Island of Dr. Moreau. Second - congrats on all the fun and excitement around your book. You deserve all the wonderful attention and support. I haven't seen the Iron Giant and am clearly missing out. It is wonderful to see the support for your book. You are the most encouraging blogger I know and deserve endless success! Following your adventures is so much fun and never dull. Brandon, appreciate you drawing it. Shell, I was so thankful for all the support. awesome blogging Alex and thanks for taking the time to visit me! Cheers! Congratulations on your successful launch, Alex! You definitely deserve having everyone in blogland cheering you on! The Island of Dr. Moreau totally creeped me out. Now The Iron Giant I love and adore! He was a true Hero! And I loved the motorcycle dude, was his name, Nick? All the best to you with the release of Dragon of the Stars! Glad things are going so well. Loved "I am Legend" in print; the movie didn't do it for me. Love "The Island of Dr. Moreau" and I'm trying to get my son to read it. In the meanwhile, I'm thinking I need to get your books for him. Iron maiden. Only liked a few songs. Don't judge me... Ha! The Iron Giant was one of my favourite books as a kid. Enjoyed the film too. What a week you've had! Congrats on the amazing release. I hope you get a little R&R this weekend. The Iron Giant is a great movie. I am a Brad Bird fan, so I've got high hopes for Tommorrowland! Hi Alex .. just been over to Damy - it was good to visit her. So many bloggers have been giving you plenty of attention - for which you deserve each and every one of the accolades - sounds like the series will be hugely successful and I look forward to reading books 2 and three .. I LOVED the Iron Giant- it was funny and endearing and just plain ol delightful. I've seen two incarnations of I am legend but never read the book. And I'm just thrilled that you got the support so are so incredibly deserving of- you're one of the best guys around, Alex and I hope your Dragon finds endless love in the hearts of readers everywhere! Damyanti is an amazing writer - I LOVE her flash fiction! Congrats on your "wild and wonderful week"! The Island of Dr. Moreau is another of my favorites, and I'm long overdue for another read. Thanks for the reminder, Alex. It's heartwarming to see all the support that you are getting, Alex! But then, you give so much of yourself to others, that it's not surprising that good things come back to you! I think I missed this post yesterday. Considering it was my first day back at work (my son was sick all week), it happens. 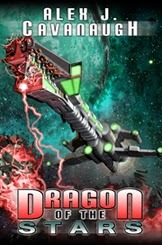 And yes, I did finish reading Dragon to the Stars. I enjoyed seeing how much Aden changed over the course of the book. Testing, testing. Am I coming through. I answered, all is well. Something is blocking my emails. Kathe, I will always visit you! Rosey, guru? Just a dude with a couple books and even more guitars. Cherdo, if you do, then thank you! Nick, I did relax some. Beverly, thanks - and appreciate that you visited all of my scavenger hunt sites. Sandra, thank you!! I'm glad you liked it. Gail, you got through, and good to hear! The Omega Man was one of my favorite movies!!! Gail, it was definitely the better of the three! This is what happens when you are great and you surround yourself with greatness. You cultivated this wonderful group, Alex, because you're a really good person. Never doubt! I like Iron Maiden's stories in their songs. It's not all loudness with them. I loved Iron Giant! Great movie. That drawing is adorable too! I like Iron Giant too. It's so amazing to see the love and support your friends, fans, and followers have and show for you. It's nice to be your friend.